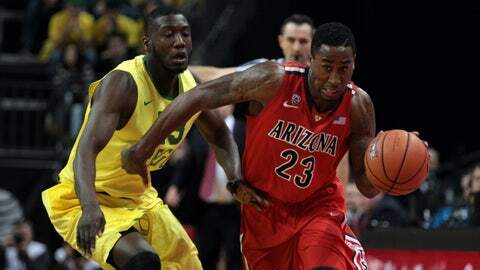 Pac-12 champion Arizona fell from third to fourth after losing to Oregon in its regular-season finale. Florida (29-2), which received 50 first-place votes from the 65-member national media panel Monday, opens play in the SEC tournament Friday. Wichita State (34-0) got the other 15 No. 1 votes. The Shockers won the Missouri Valley Conference tournament Sunday, the first team to enter the NCAA tournament without a loss since UNLV in 1991. Villanova moved from sixth to third, pushing Arizona down a spot. Louisville jumped from 11th to fifth, followed by Virginia and Duke. San Diego State and Michigan tied for eighth and Kansas was 10th.